The first Rotary Club in Focsani was founded in 1998, bringing together under the umbrella of high humanitarian ideals of Rotary International the most important people of our county. Due to various personal problems occurred during time, this club goes out of business in a few years, so that it can reborn on April 18, 2008 like a phoenix bird under the name of VARANA Rotary Club Focsani, who managed to gather around quality people that have joined forces to conduct activities and social projects, in Vrancea County so as in Romania. Do you want help us to make the difference and support the community? 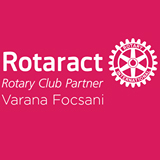 Rotary Club VARANA Focsani is involved in activities that help the community to be better. If you have an idea for a project that will change for the better the community we live in and to ensure a better future, you can contact us and together we can make the difference. 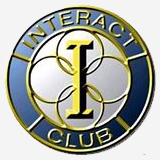 Interact Focsani and Rotaract Focsani are Clubs under the auspices of Rotary VARANA Focsani through young persons from Vrancea County are involved in activities or cultural , social and humanitarian projects coming to support our community. Is the Rotary service for the young people aged between 12 and 18 who engage in actions targeted to build community. It the Rotary group for young people aged between 18 and 30 who perform community service projects.